Sow monarda outdoors in a sunny location after danger of frost. Sow evenly and thinly. Cover with ¼ inch of fine soil. Select a location in full sun to light shade with organic soil with excellent drainage. Monardas prefer drier soils. Careful watering is essential in getting perennials off to a good start. Water thoroughly at least once a week to help new roots grow down deeply. Once established monarda prefers drier soils. Good air movement is also important as monarda is susceptible to powdery mildew. 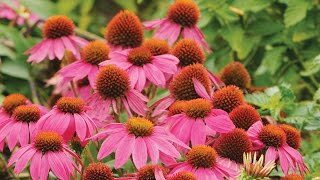 Divide when plants become overcrowded, bloom size begins to diminish or plants lose their vigor, every 3-5 years. Divide monarda in spring when plants are dormant. Monarda has a spreading root system. Spreading root systems have many slender matted roots that originate from many locations with no distinct pattern. These can crowd out their own centers. They can usually can be pulled apart by hand, or cut apart with shears or knife. 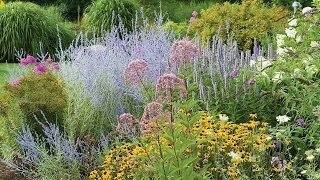 Replant one division where the plant was originally and plant the extra divisions elsewhere in your garden or give them away to gardening friends. Plant the divisions immediately, or as soon as possible, and water well. Pull out wandering plants that show up where you do not want them. Monarda is a fabulous pollinator plant attracting bees and butterflies and hummingbirds to the garden. The flowers are good for cutting for fresh arrangements. The foliage of monarda may also be used to make a delicious tea. Monarda, Bee's Knees is rated 3.0 out of 5 by 2. Rated 1 out of 5 by AnniA from Bees Knees Monada I ordered this plant last year from Burpee and have been very disappointed. I have other full size monarda plants that do very well, unless they get crowded or too humid. But this Bees Knees had issues right from the start. Whether it came with a disease or bug, or maybe it just attracted a bug right away I cannot say. It did send out a few suckers around it, and I carefully tended it all summer but it never came out of its crimped frump. I moved it to a new spot in early fall thinking it may do better elsewhere, yet saw no sign of improvement. If it does not bounce back this spring with health, I will have to pull and toss it for the safety of other plants.